5pc. 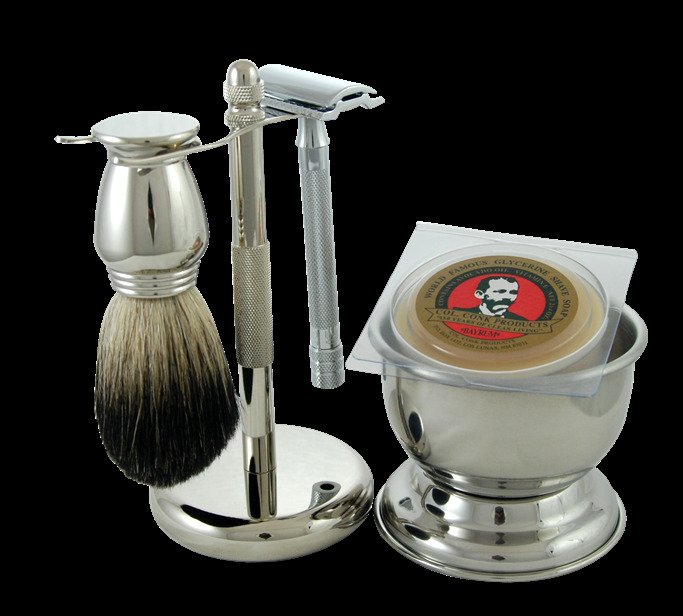 Safety Razor Set includes a Merkur #180 long handled safety razor, chrome stand, pure badger brush w/chrome handle, stainless steel cup and Col. Conk 2.25 oz. shave soap.